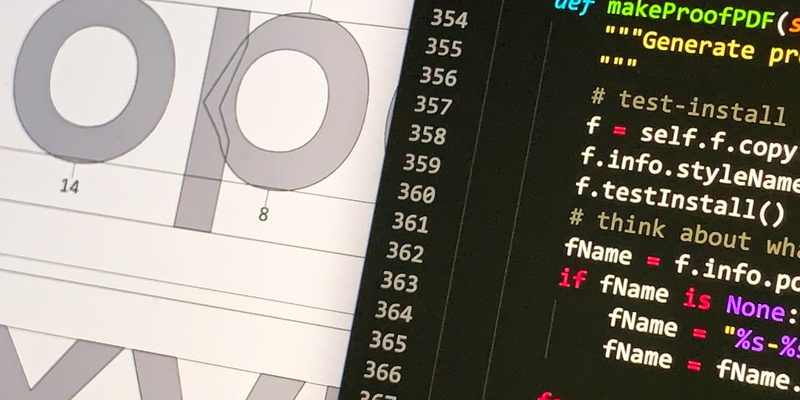 As a type designer, you don’t *need* to learn to code — but if you do, you’ll likely find that programming can be a very useful superpower to pick up. The Python programming language is known for being especially straightforward to learn; sitting at the heart of the tools type designers use today, it allows for customizing your workflows with your own scripts. Even just a few lines of code can help make your tools more powerful and your processes more efficient, and help tailor your workflow flexibly to your specific needs. This workshop, aimed at beginners, will introduce the principles of Python 3 in an illustrative and hands-on way. We will explore how coding can integrate into a workflow, and work on simple (or slightly less simple) scripts that can be immediately useful in a type-design process. No prior programming knowledge required, you should just have some experience designing type in RoboFont. Note: This workshop is only open to students enrolled in the Type West Certificate Program in Type Design. 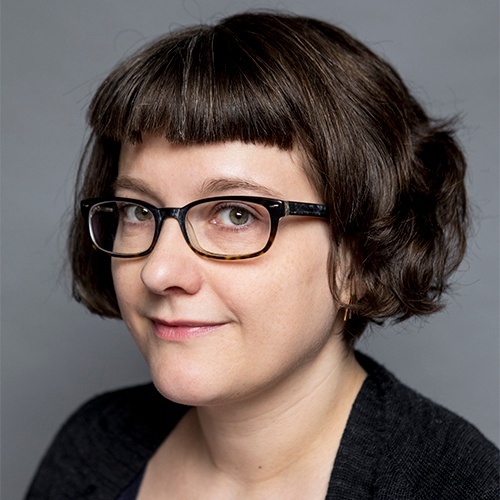 Nina Stössinger is a Senior Typeface Designer at Frere-Jones Type in Brooklyn. She also teaches type design at Yale University School of Art, and currently serves on the Board of Directors of the Type Directors Club. Her published retail typefaces include Empirica and Conductor (both designed with Tobias Frere-Jones), Nordvest, and FF Ernestine. Also with Tobias Frere-Jones, she has co-designed custom typefaces for clients including the Essex Market and Academy Sports. Originally from Basel in Switzerland, Nina studied multi-media design in Halle/Germany, and type design in Zurich and The Hague. She has spoken at many conferences and events, and her work has been awarded numerous prizes and exhibited internationally.